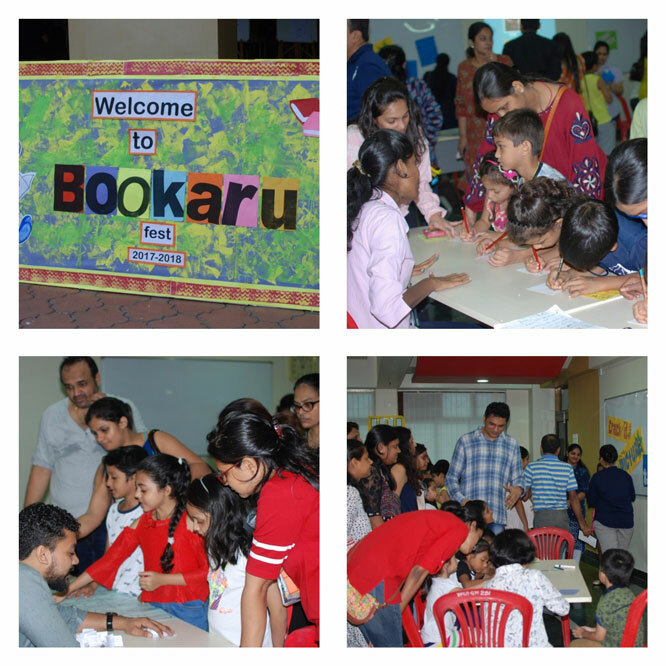 Bookaru was a tremendous success! 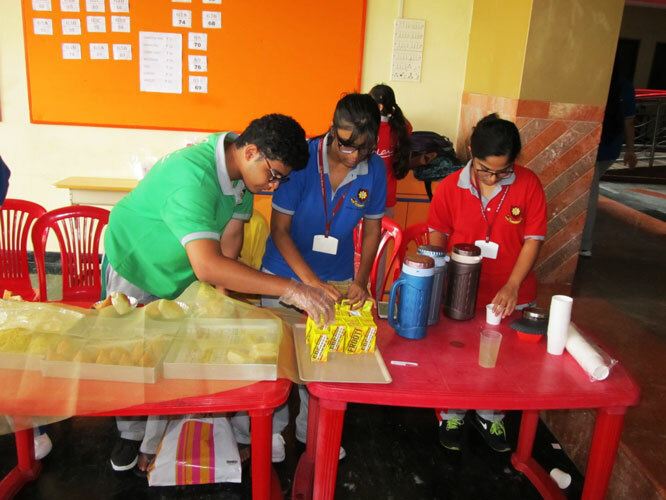 The reason for its success can’t be limited to a single day. 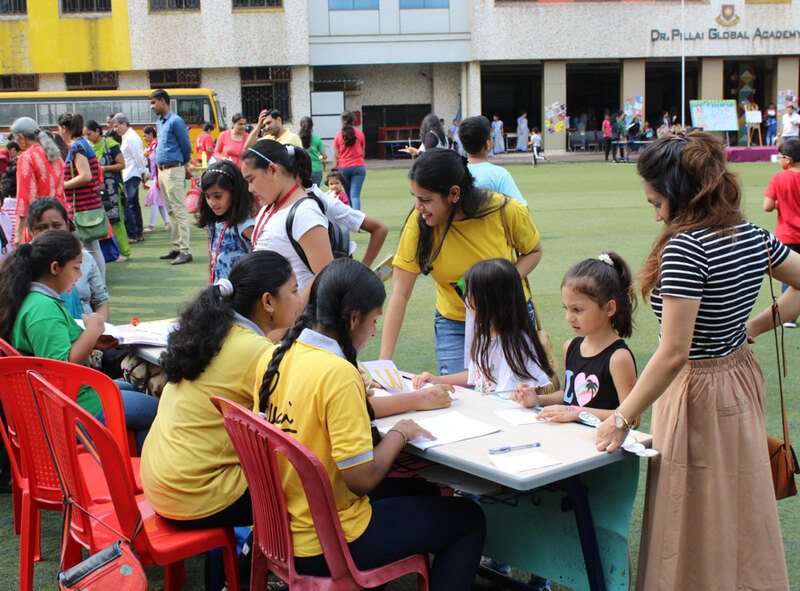 The meticulous planning, organization and participation of the students of IB has been the true trump card of success for this event! 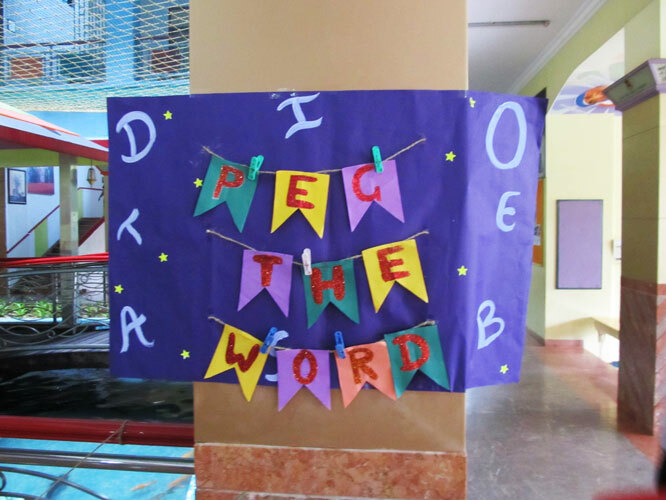 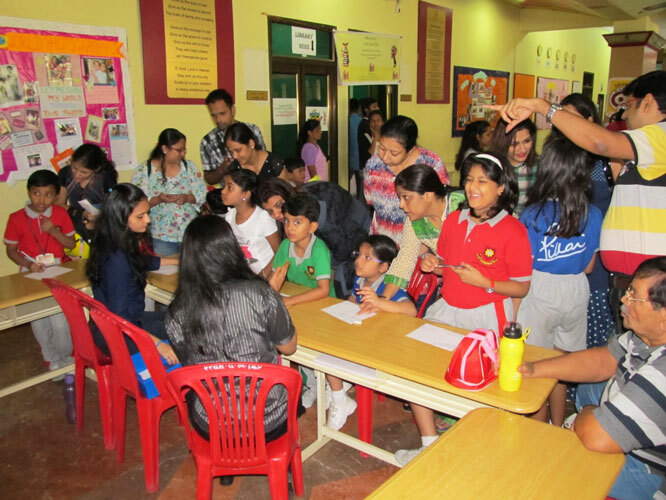 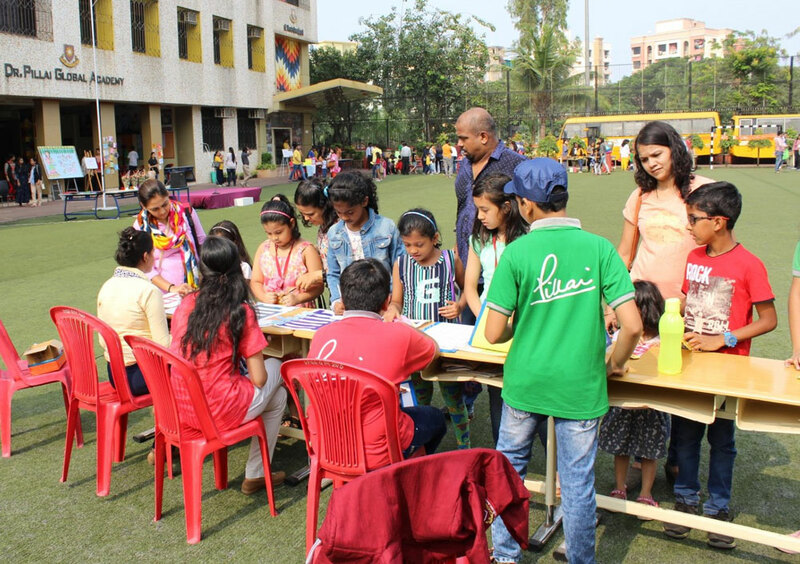 Bookaru, this year, with its theme ‘The Apotheosis of the Indian treatise, had a whopping 20 stalls of multifarious literacy games for all age groups, all industriously planned and conducted by students of DPGA themselves and strategically organized by the adroit students of IB! 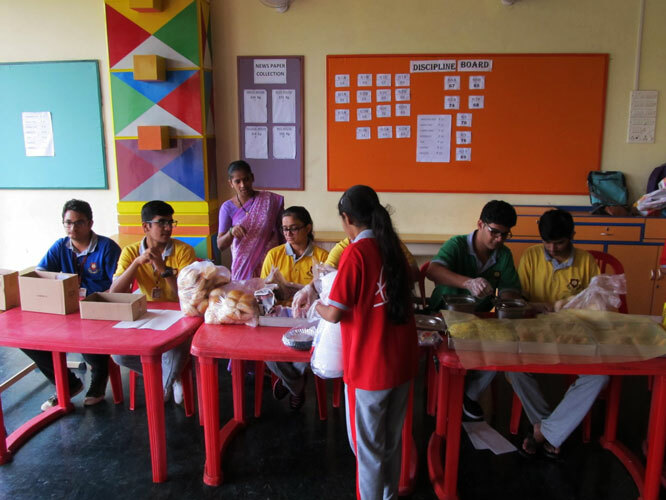 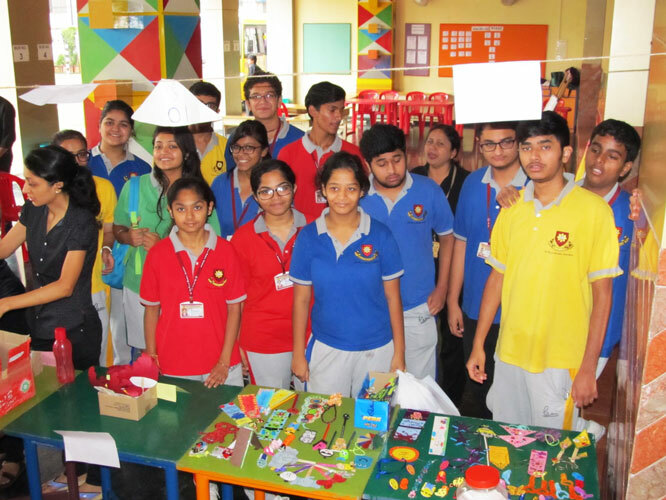 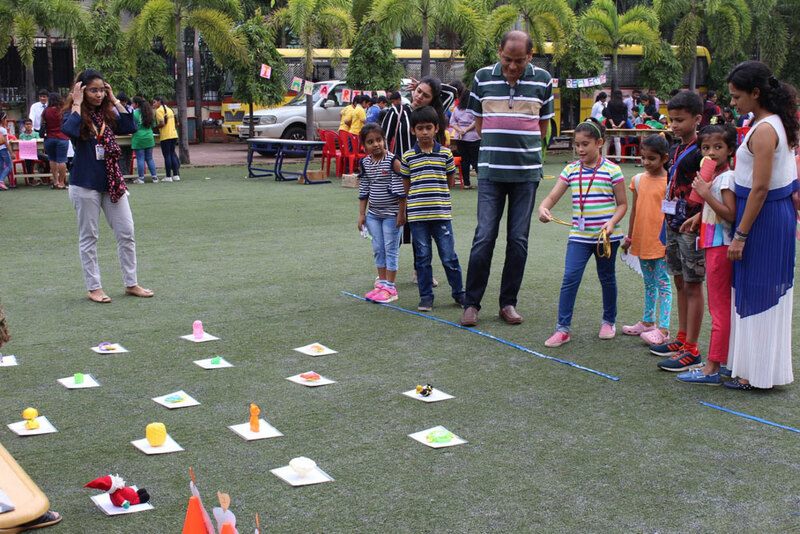 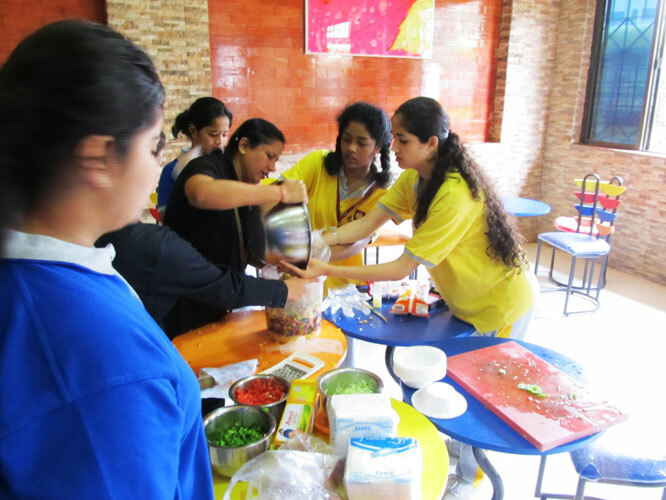 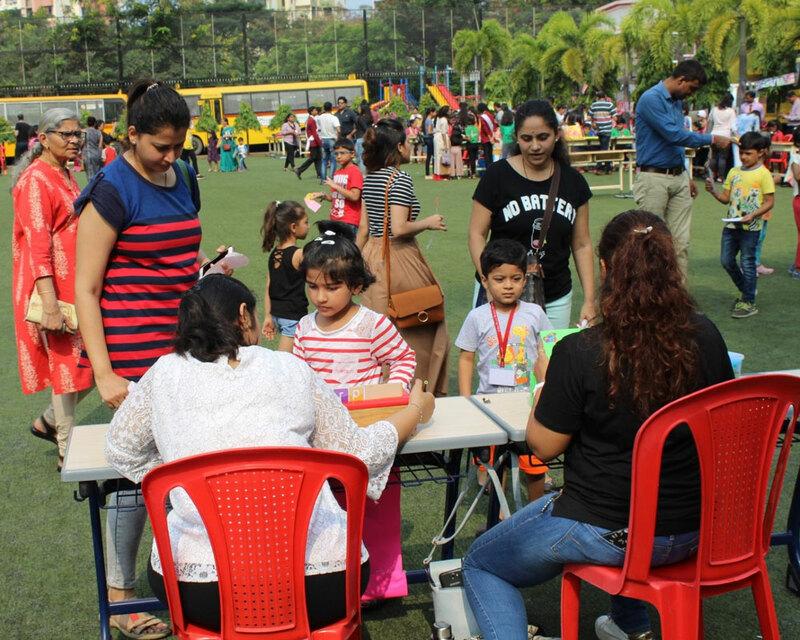 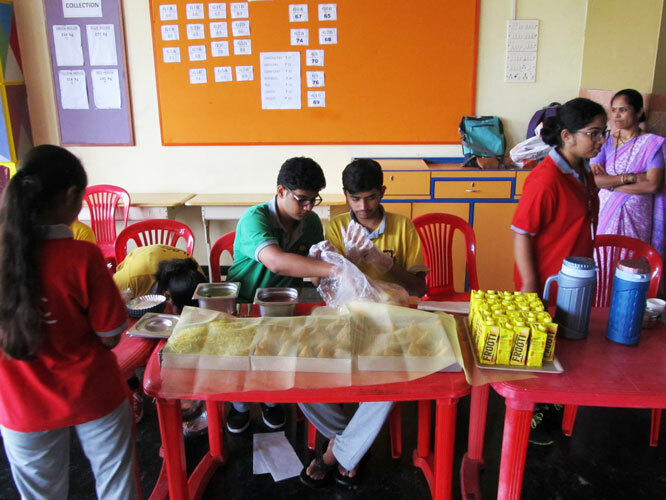 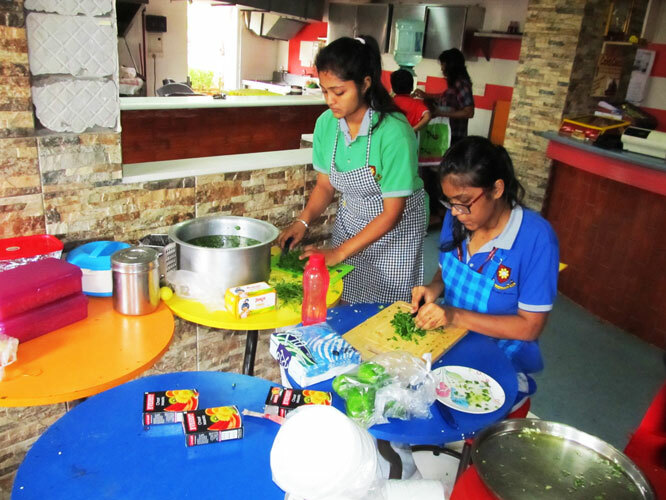 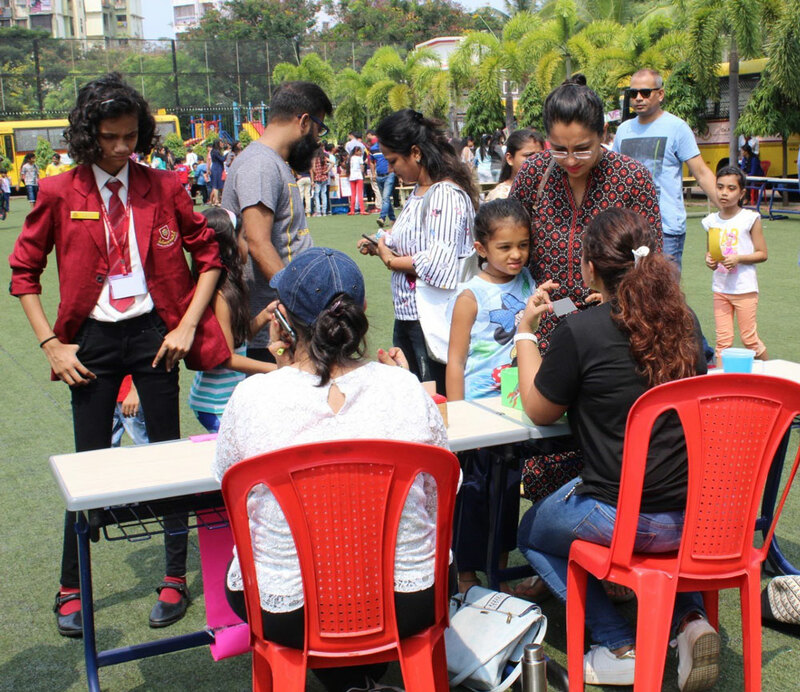 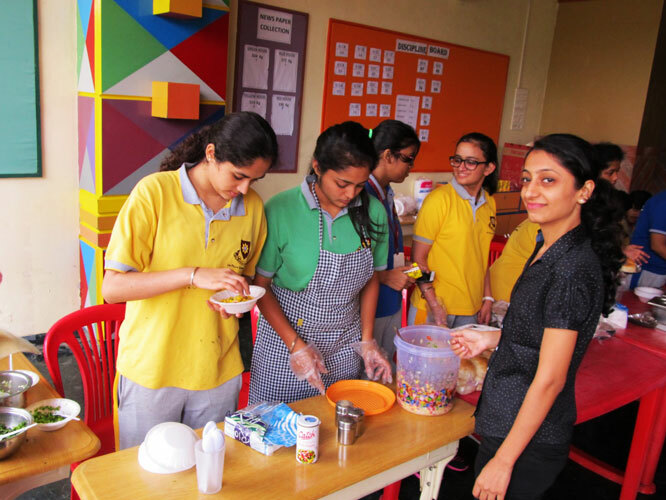 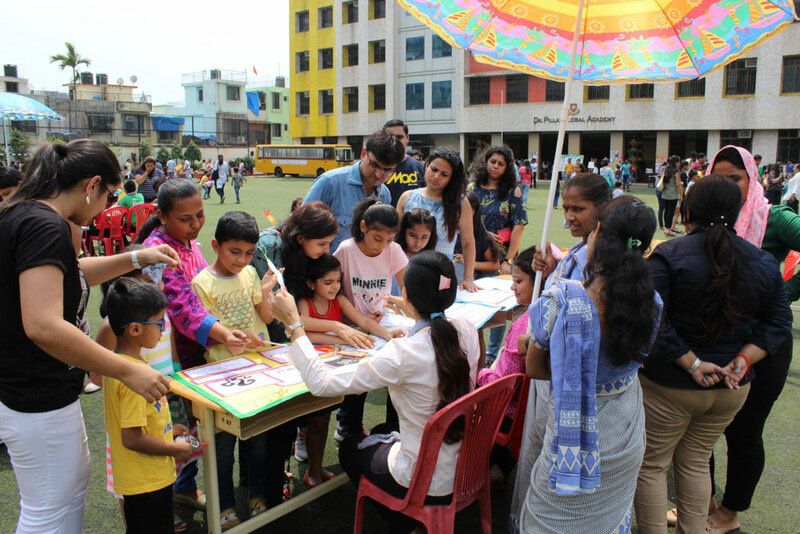 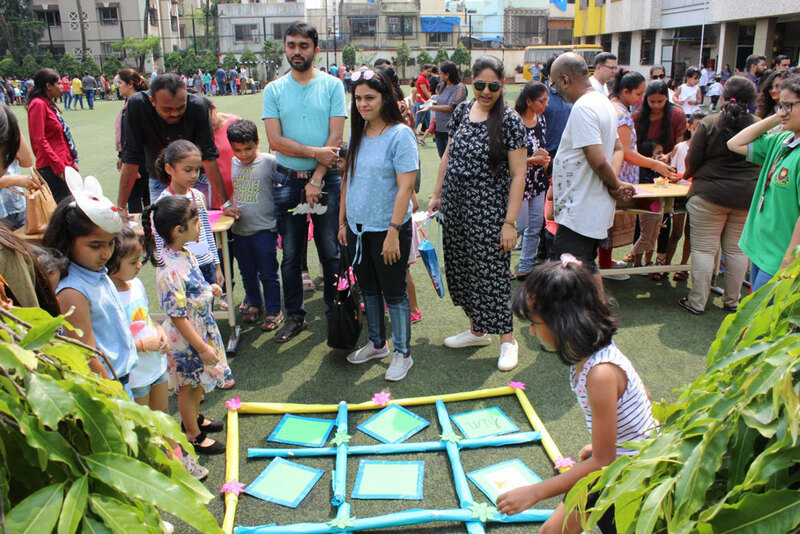 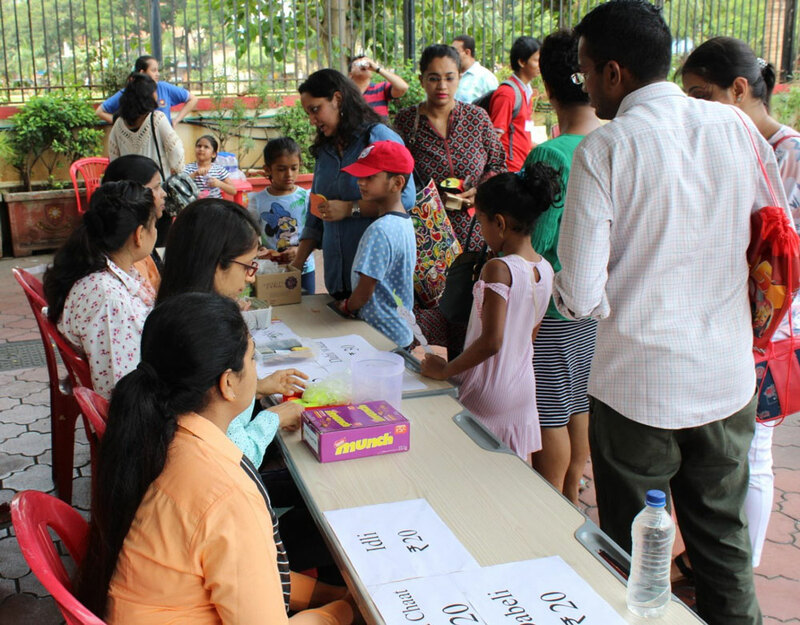 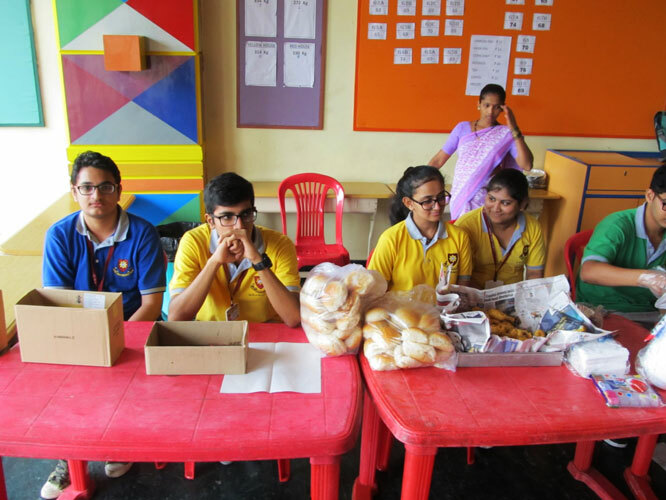 Parents’ enthusiastic involvement in Bookaru to manage game stalls of their own as part of being the teaching-learning community was received tremendously well by all parents and students alike. 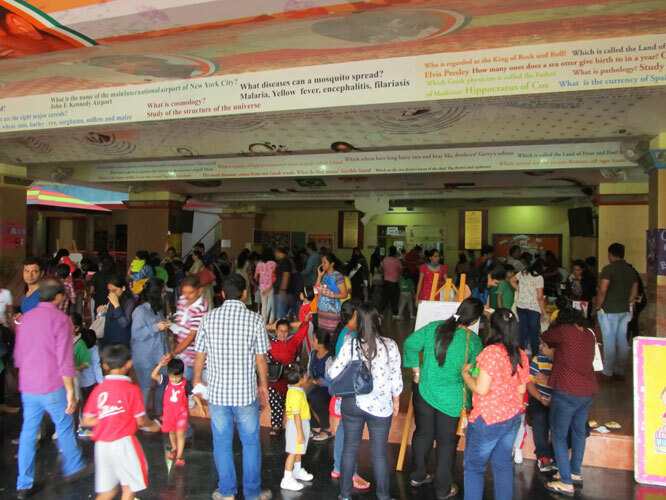 The puppet theatrical performance by parents and very young students totally stole the show and the hearts of the audience! 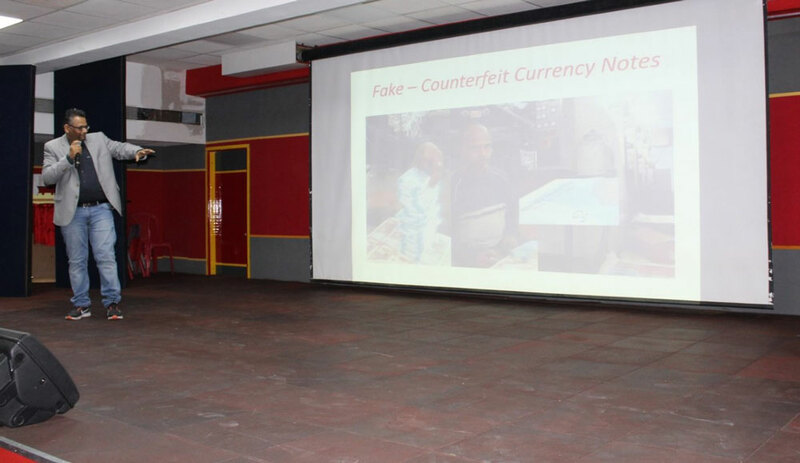 The guest speaker, father of Heet Jain of 5A, Mr. Pankaj Jain’s insightful message on hoax news sure served as an eye-opener for most audience. 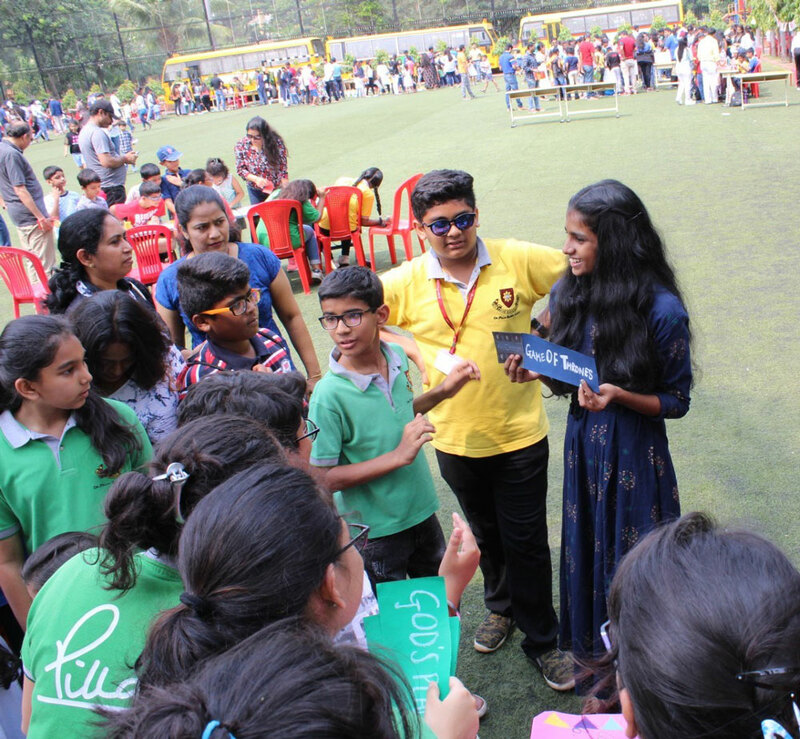 The highlight of the event was the presence of the young writer, Gopika Rajesh Menon, from our own sister institution – Mahatma Education Society. 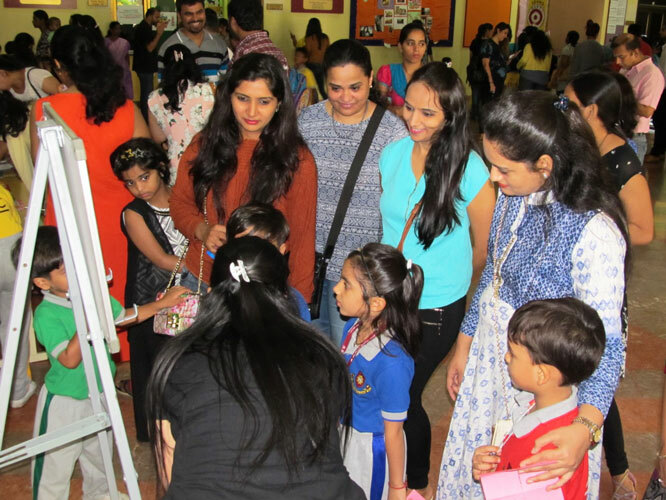 Her book, ‘Breathings of my Heart’ was easily the most chosen book of the day for many parents and students. 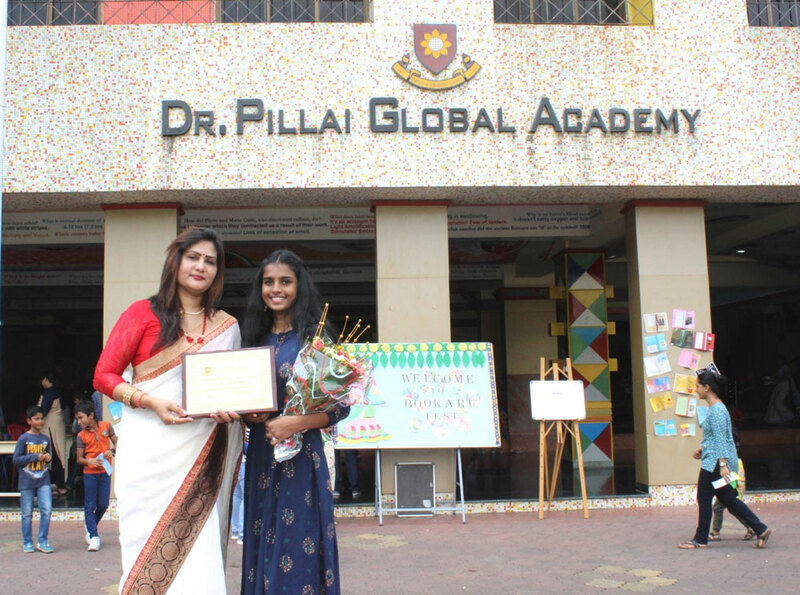 Her presence was sure an inspiration to all our fledgling writers of DPGA. 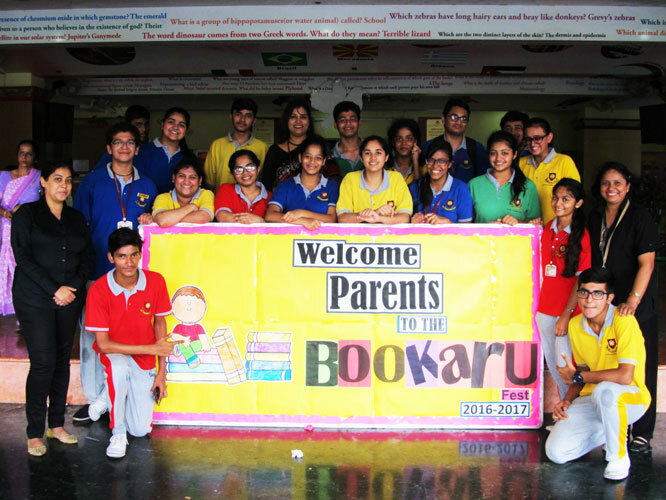 The inception of the ideas for Bookaru, definitely was in DPGA’s endeavor to make its students inquirers, thinkers, knowledgeable, risk-takers, balanced, principled, communicators, open-minded, caring and reflective. 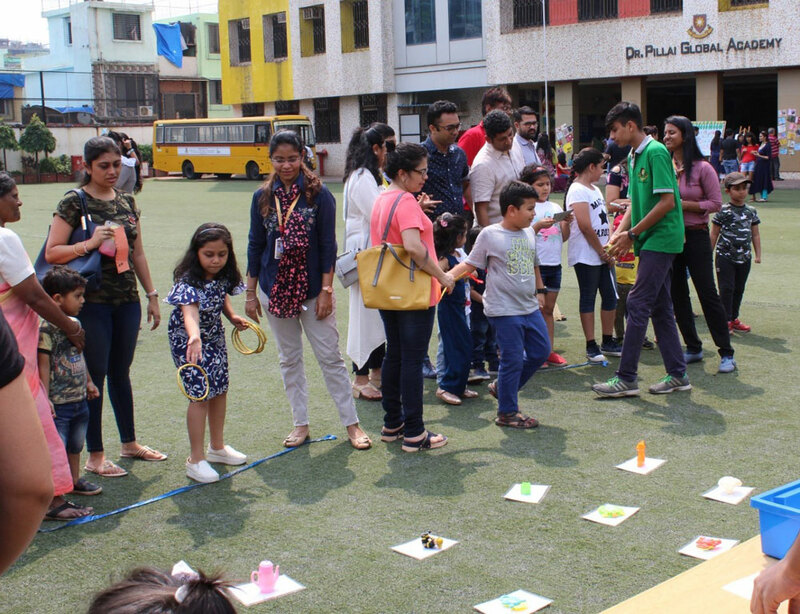 With students and parents having thoroughly enjoyed the games, it is no doubt that students have learnt a great deal and have taken away loads of memories to cherish from their experiences of being a part of our DPGA’s Bookaru 2018. 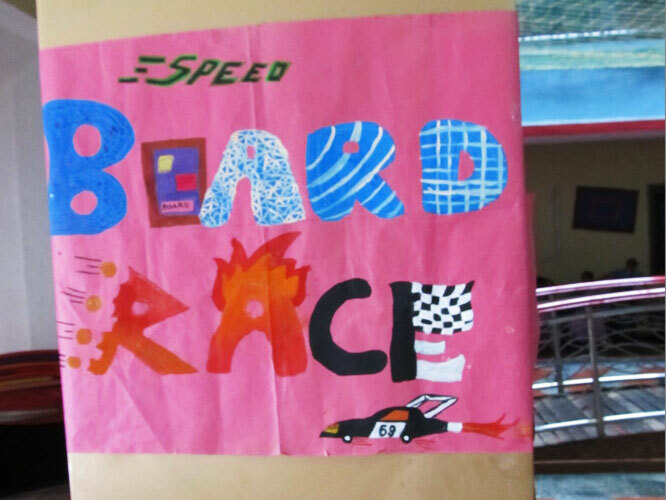 Congratulations and Godspeed to all students and parents who have made this day a monumental success! 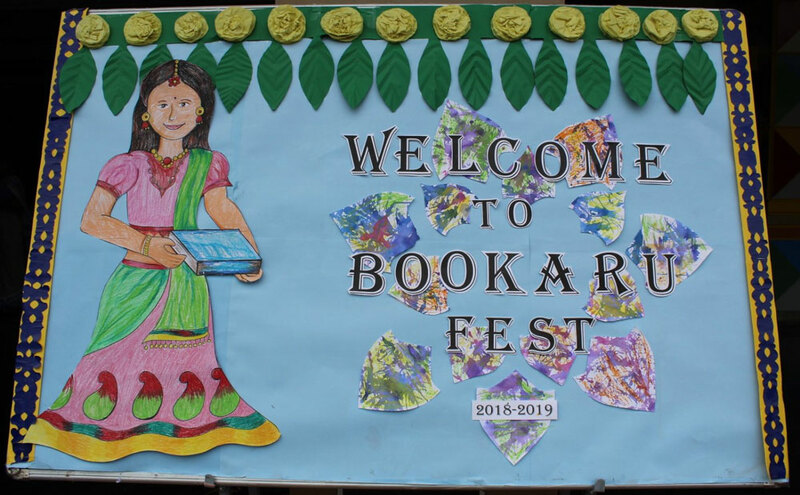 The North Creek Literacy Fest – Bookaru is celebrated every year at DPGA with an objective to promote academic learning & enhance the literacy skills of students. 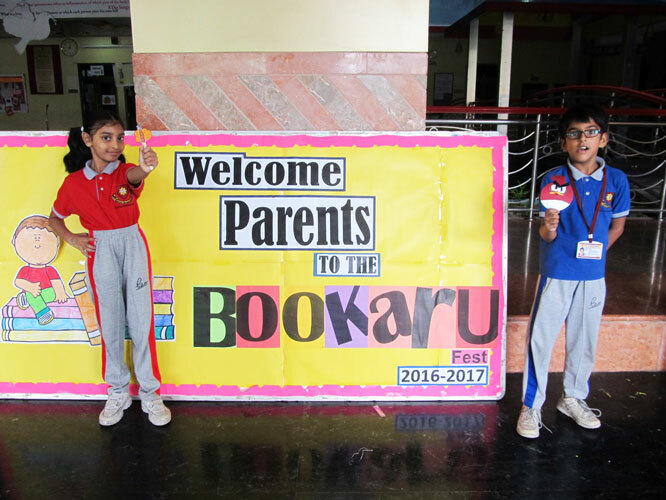 This year the Bookaru Fest, organised by Dr Pillai Global Academy, commenced on Monday, 18th September, 2017. 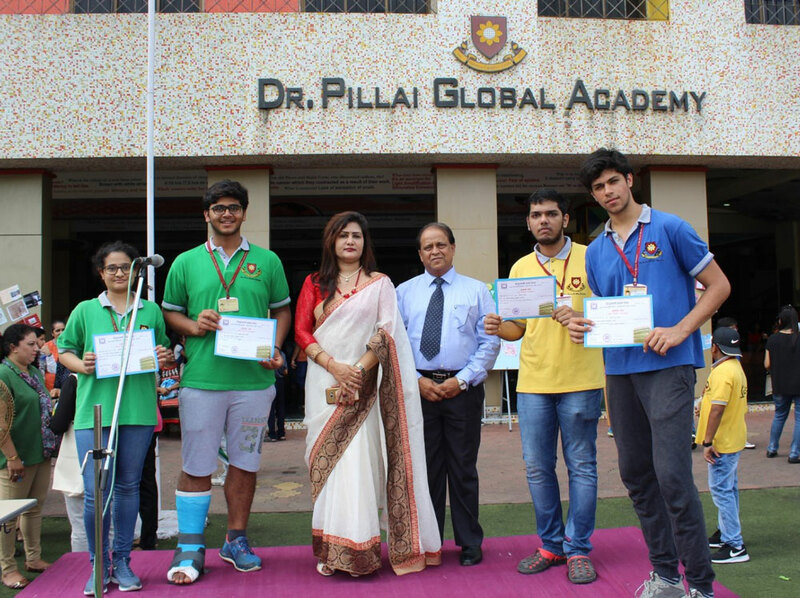 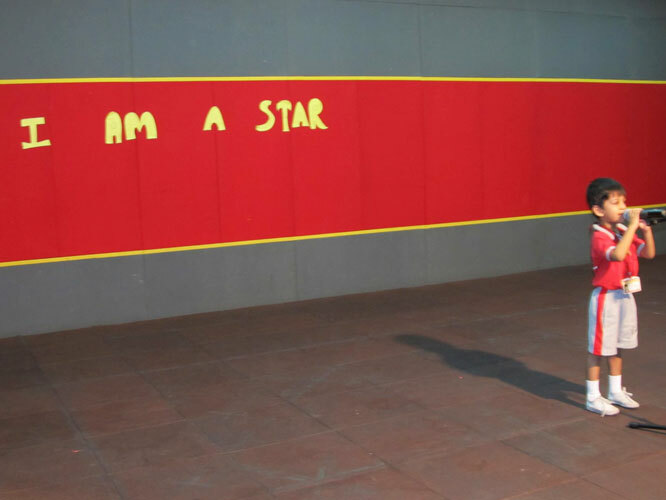 The theme – ‘The Power of Women – the Epitome of Perfection’, resonated entire week long, with our students coming to the forefront to highlight the multifaceted qualities embedded in women. 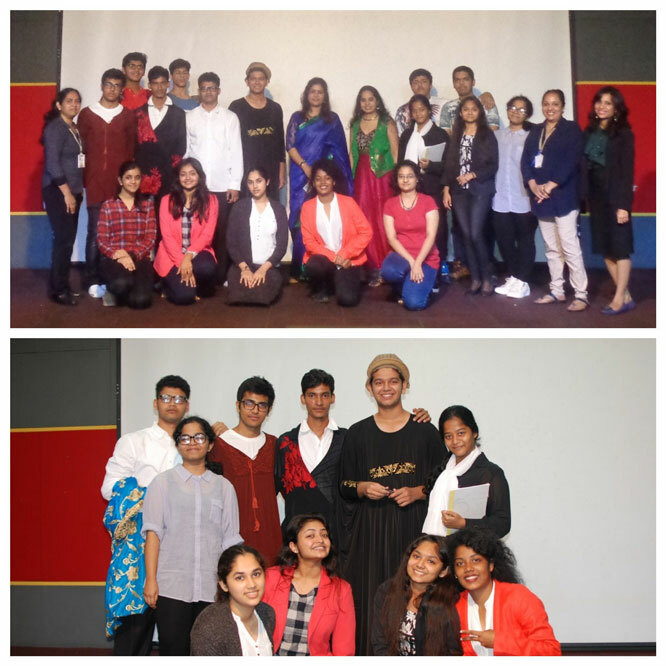 The week was set into motion with the students presenting some great women writers from across the world. 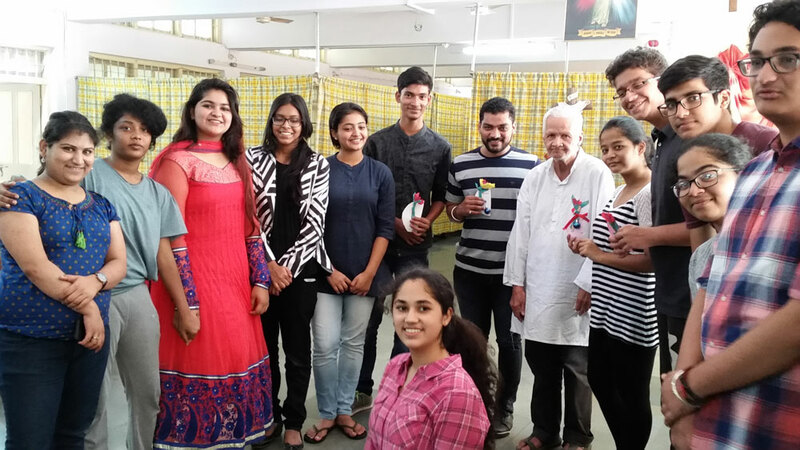 This week witnessed budding poets within our students who recited poets of well-known women poets. 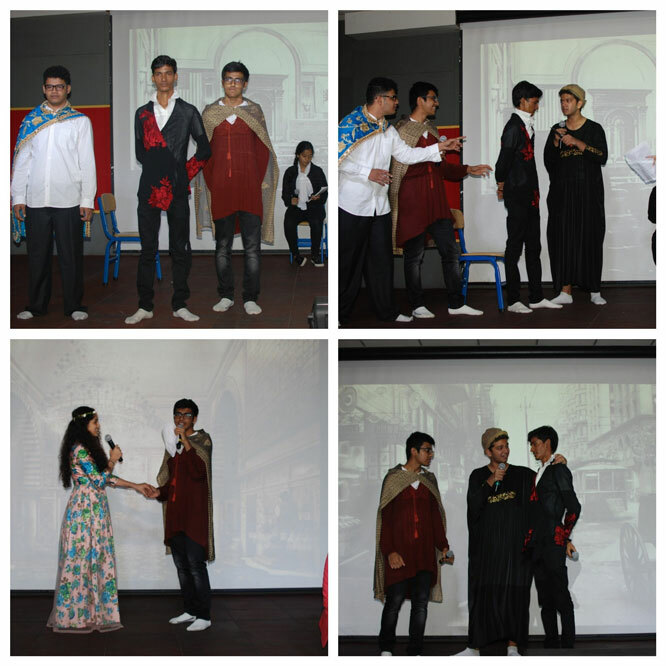 Students not only delivered short discourses related to the theme, but also retold a fairy tale with a twist in it. 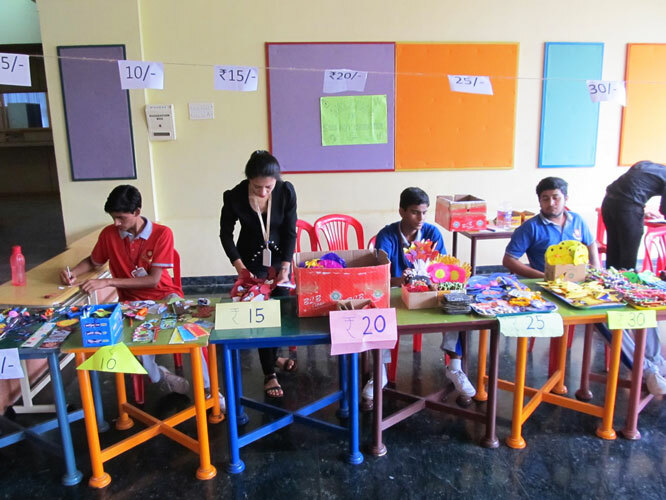 During this week students prepared beautiful items to be displayed on the following day, 23rd September, 2017 which was celebrated pompously. 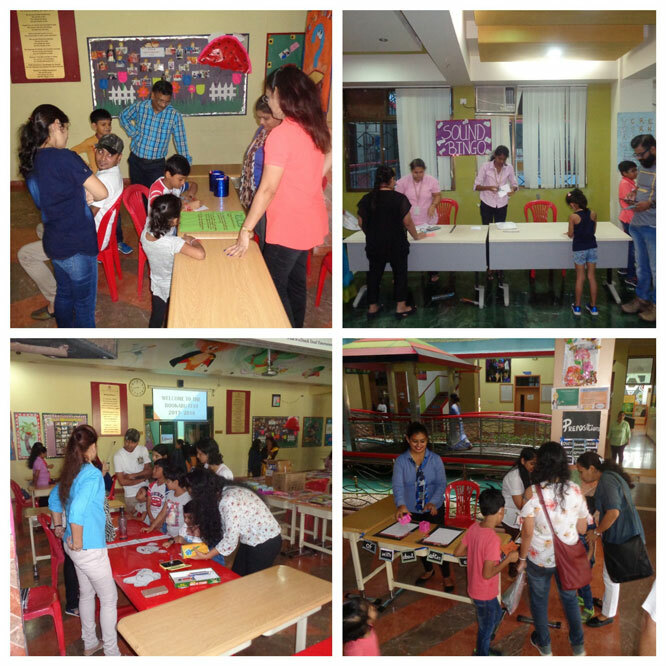 Game Stalls, library corner, a makeshift bookfair and Haiku Presentation in the Auditorium by the keynote speaker Mrs. Rochelle Potkar kept the parents & students enthralled throughout. 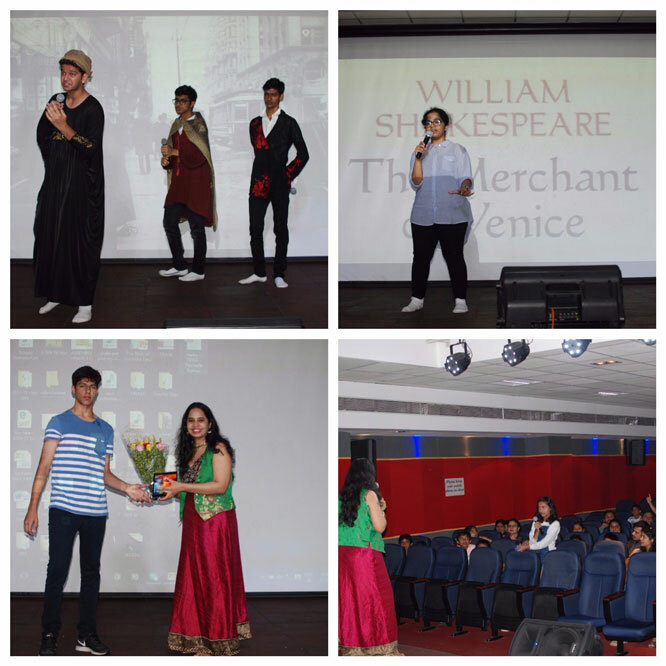 Following this session, IB students gave an enchanting performance of the jubilant Shakespearean skit ‘The Merchant of Venice.’ It was truly touching to see an event of the past come back to life. 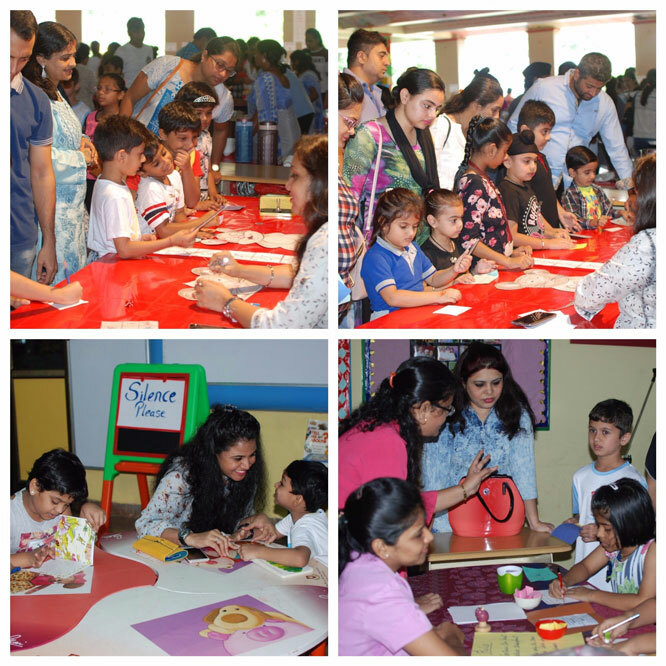 The Bookaru Fest left a lasting impression on everyone’s mind. 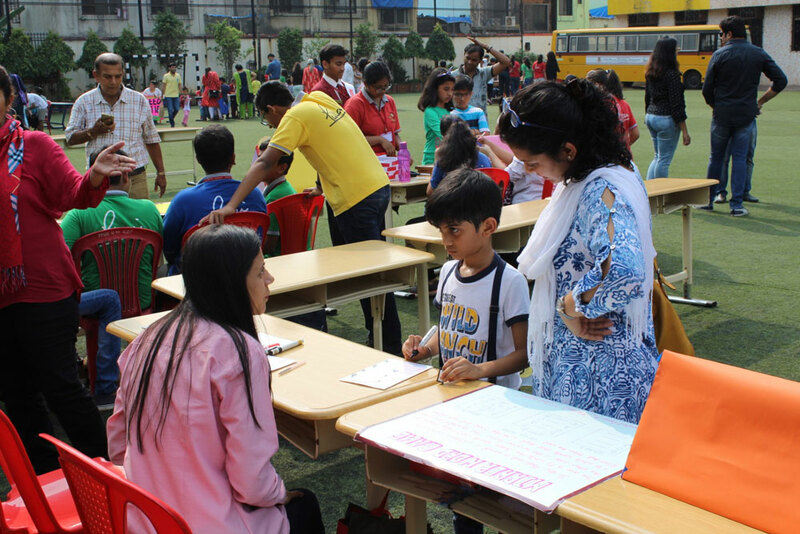 Each one was satisfied with the event and spoke highly of the Literacy Festival. 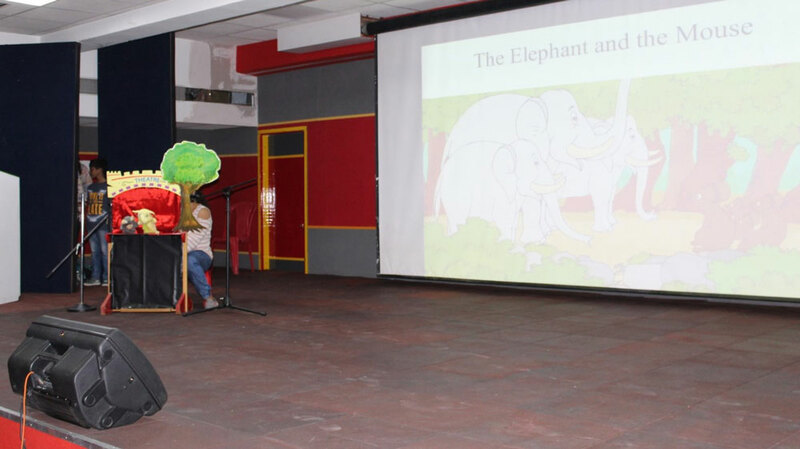 “The North Creek Bookaru” Literary Fest commenced at Dr. Pillai Global Academy from 19th to 24th September. 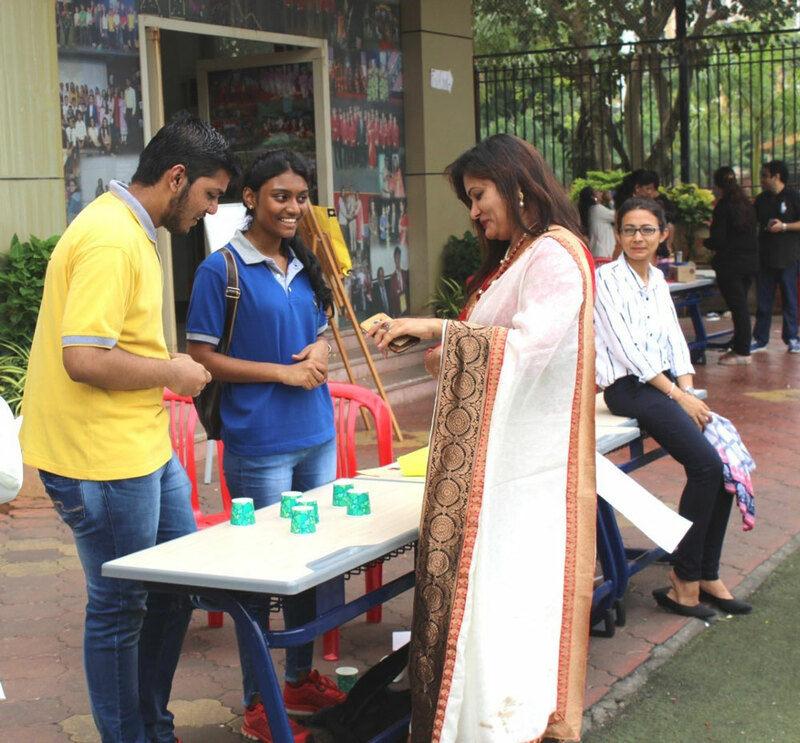 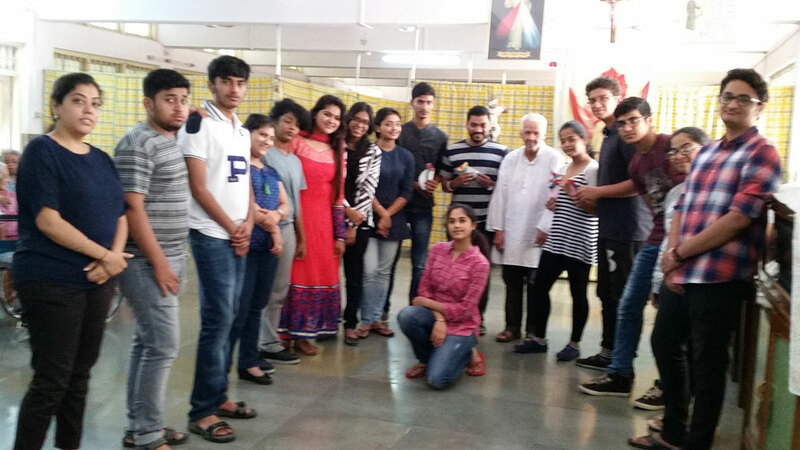 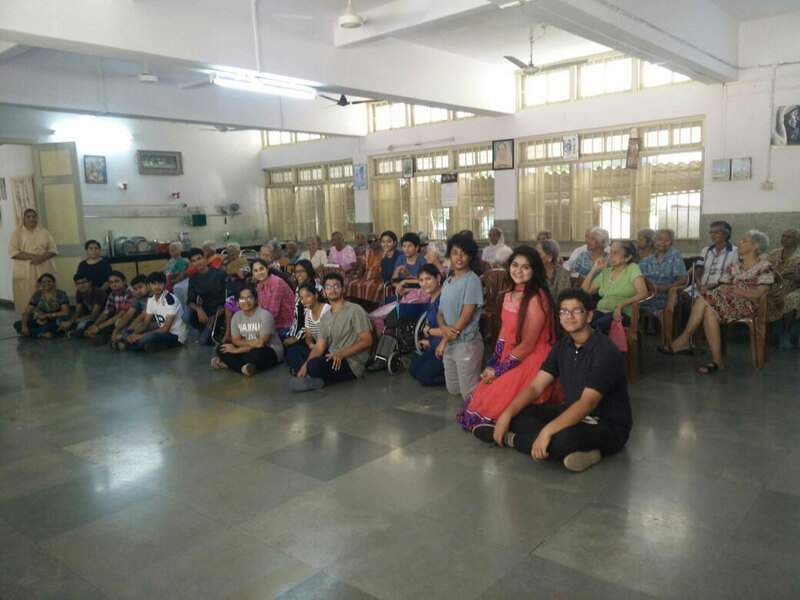 This year the fest featured activities such as Debates, Elocution, Spellathon and events related to literature of different languages such as English, Hindi, Marathi, French, and Spanish. 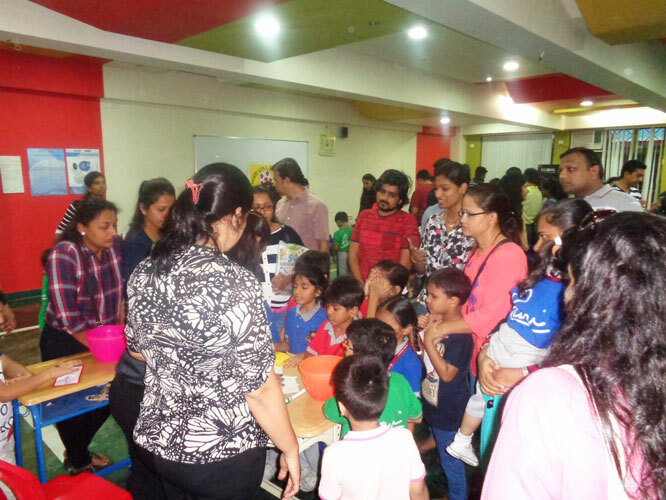 These events were designed to meet the intellectual and academic needs of the child. 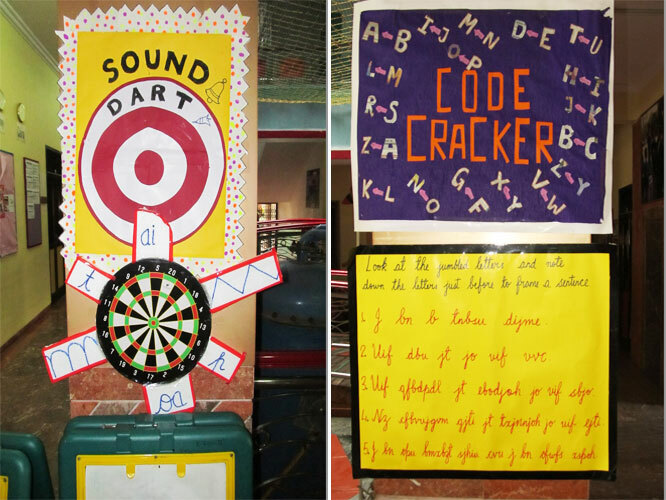 Activities such as Code Cracker, What’s your story, Peg the word, I spy with my little eye, Guess what it is? 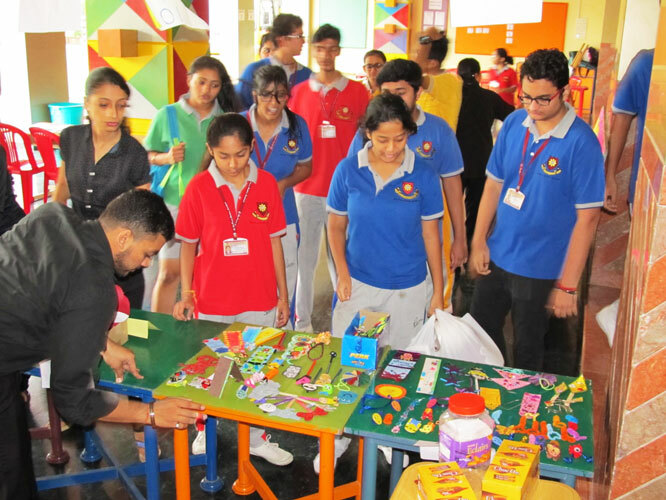 etc got the students involved enthusiastically. 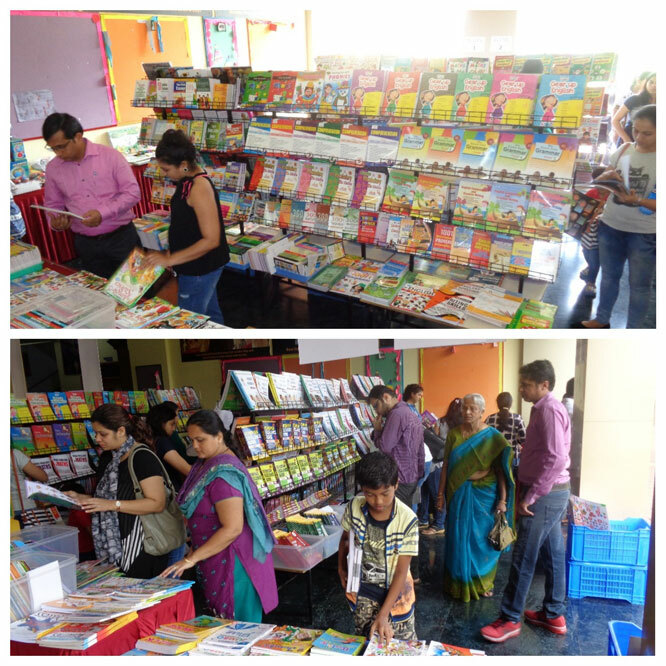 The Bookaru library not only motivated the students & parents towards reading but also showcased their love towards book & literature. 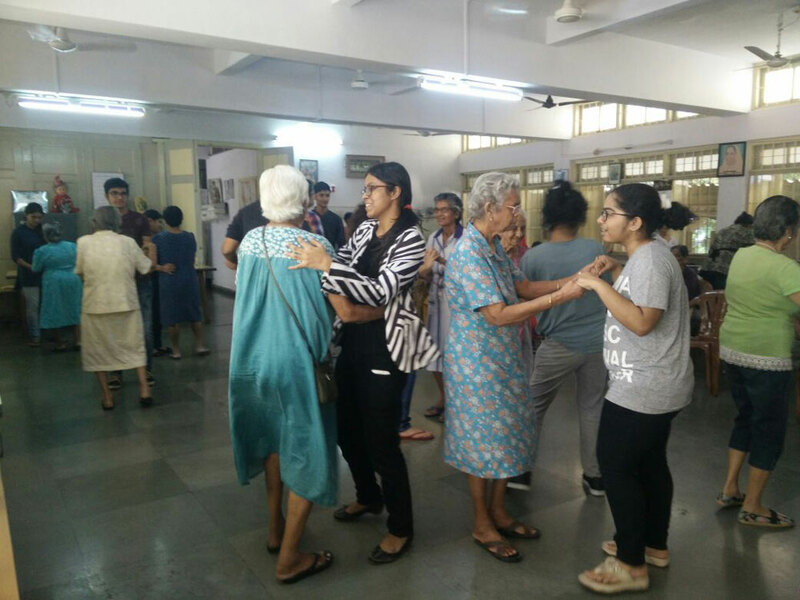 The literary conventions, literary movements, authors, isms, poets and the like all seem to come alive today in the halls and auditorium of DPGA. 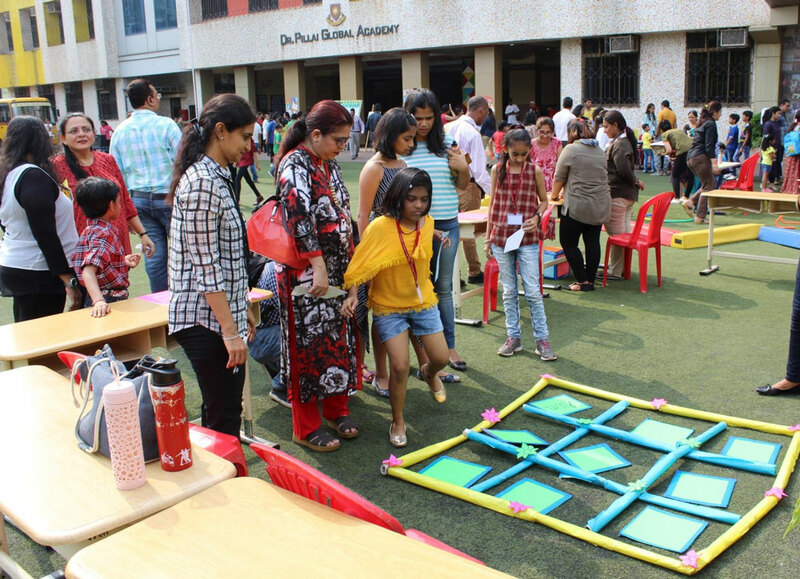 I am indeed proud to be associated with this school which lays importance on the extension of learning in the classroom, in such unique manner, said an over –excited parent. 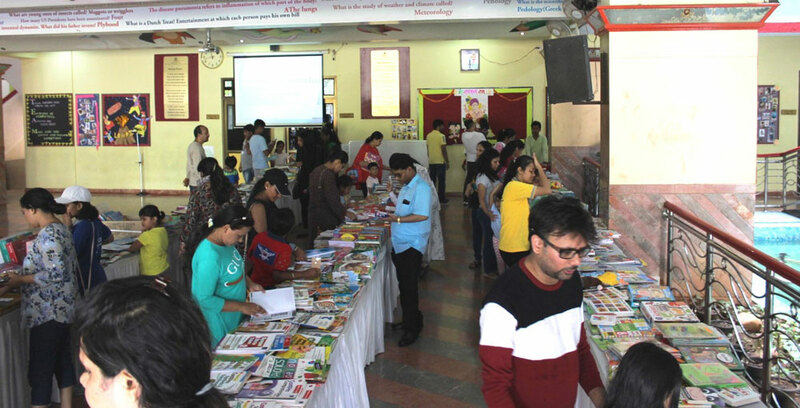 The book fair which showcased both Indian and international storybooks saw piles of books being taken home for leisure time reading. 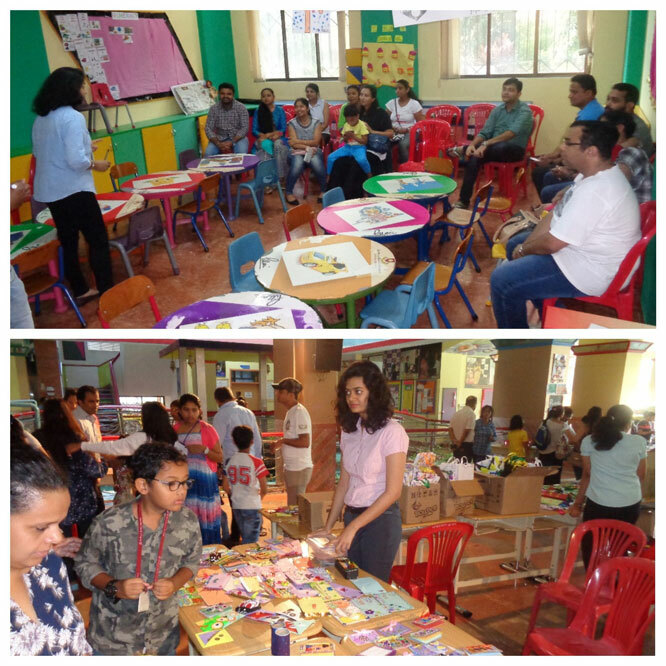 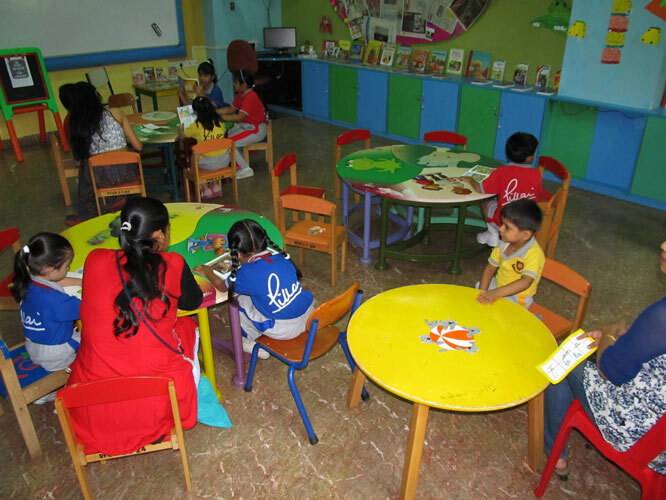 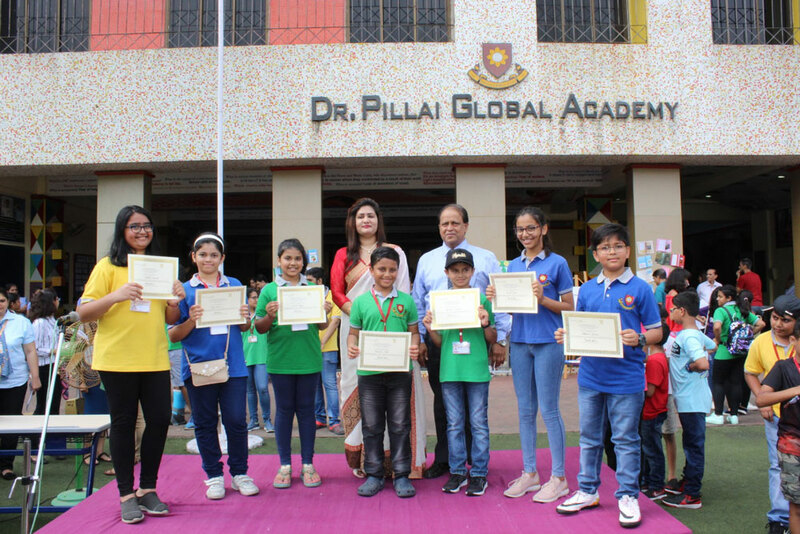 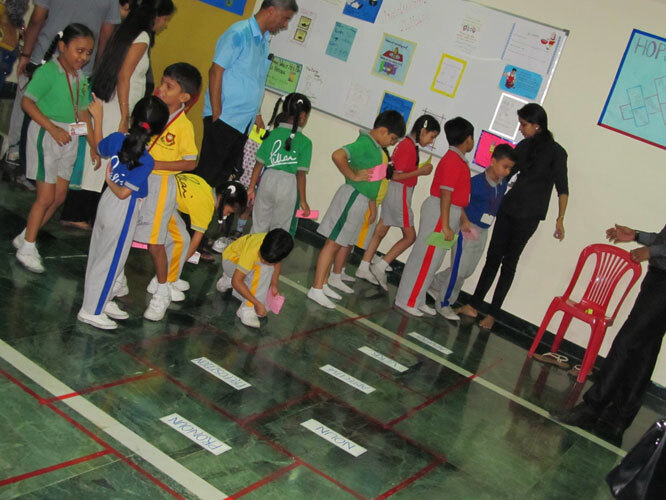 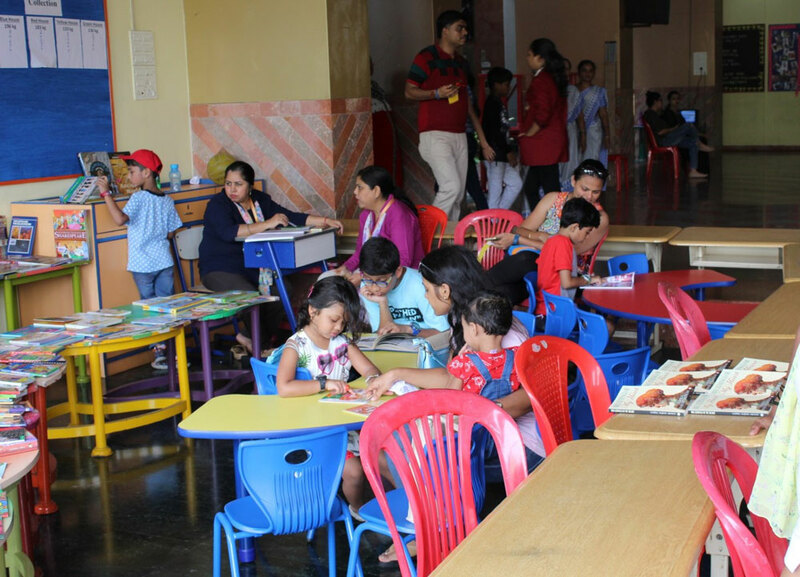 The week-long event came to a closure with a bang on 24th September wherein all the parents and the students from preprimary to checkpoint participated in various games that enhanced their reading, writing, speaking and listening skills. 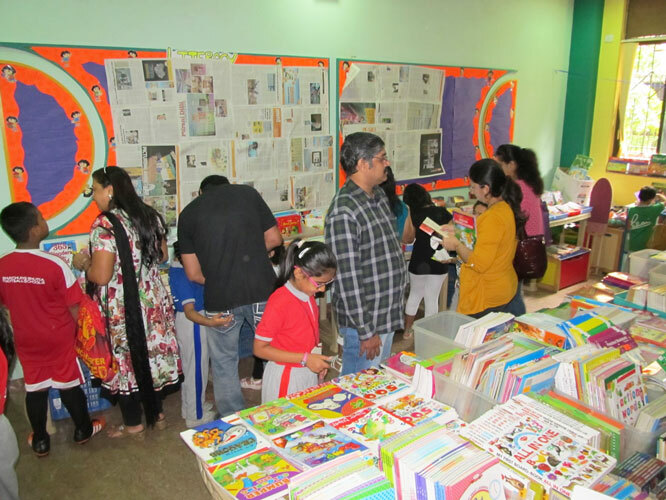 Thank you parents for patronizing the stalls at the ‘Bookaru’ Literacy Fest. 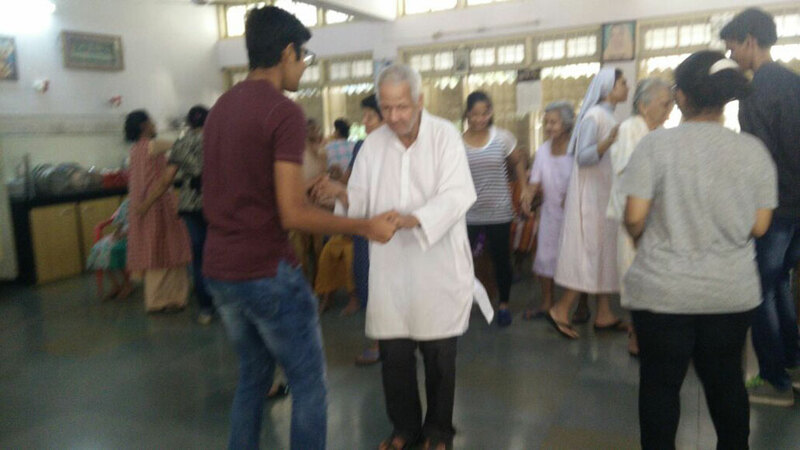 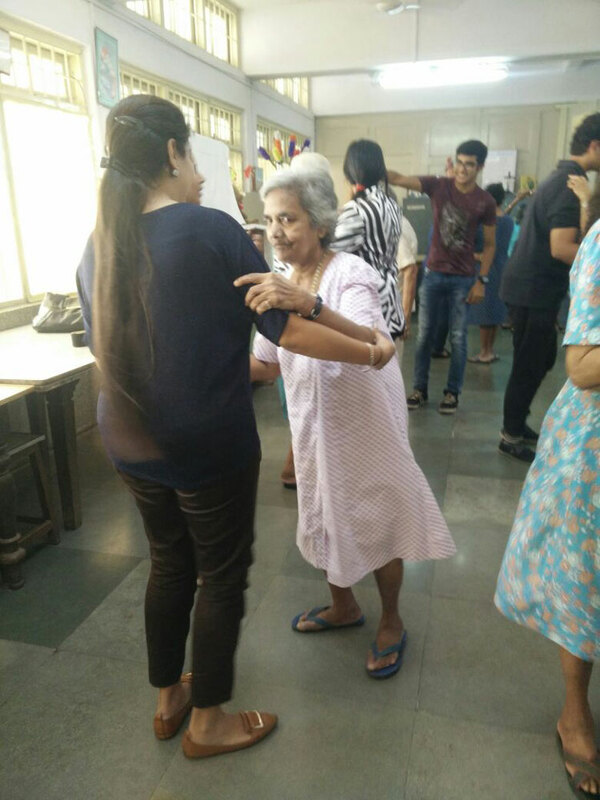 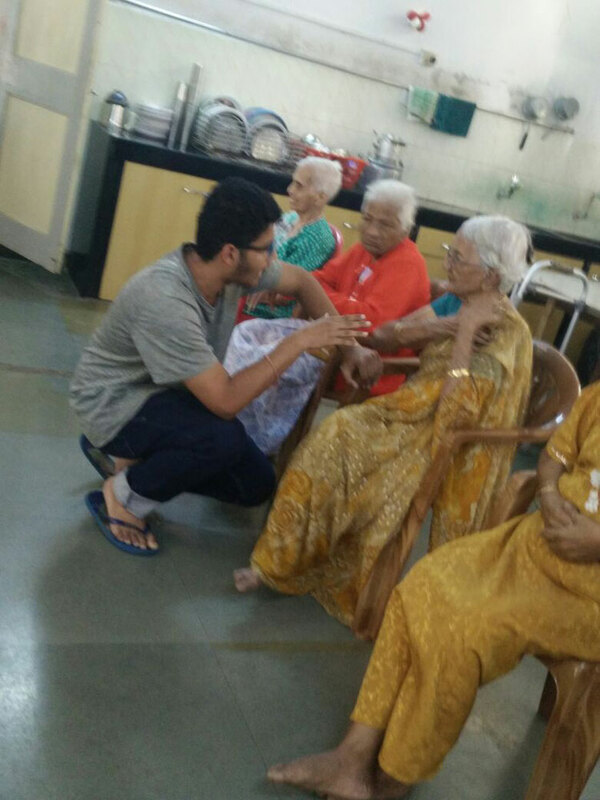 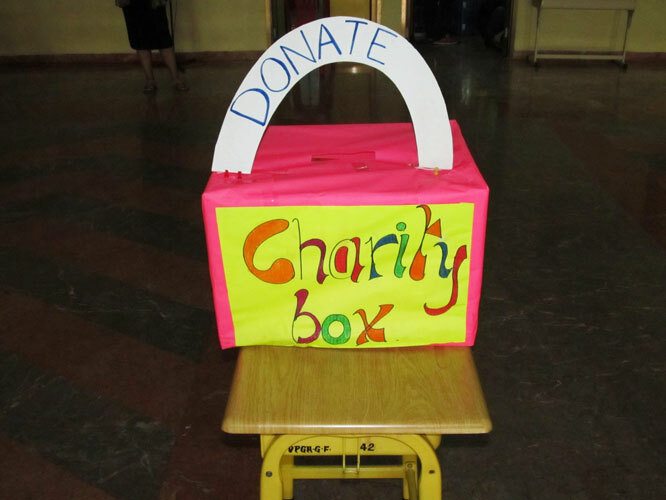 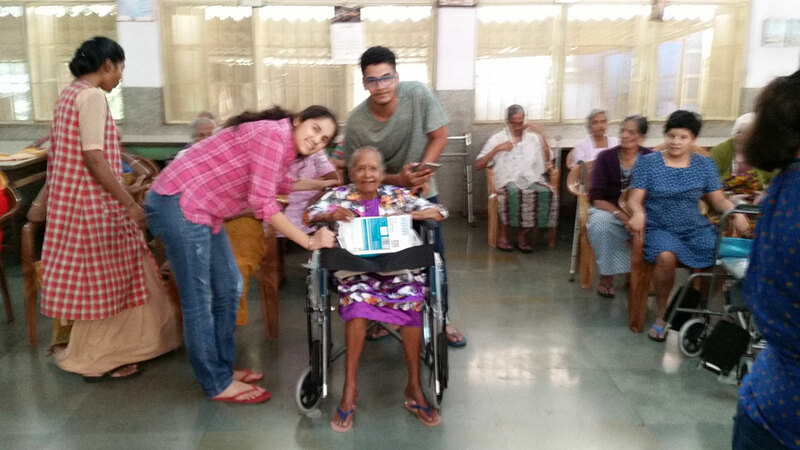 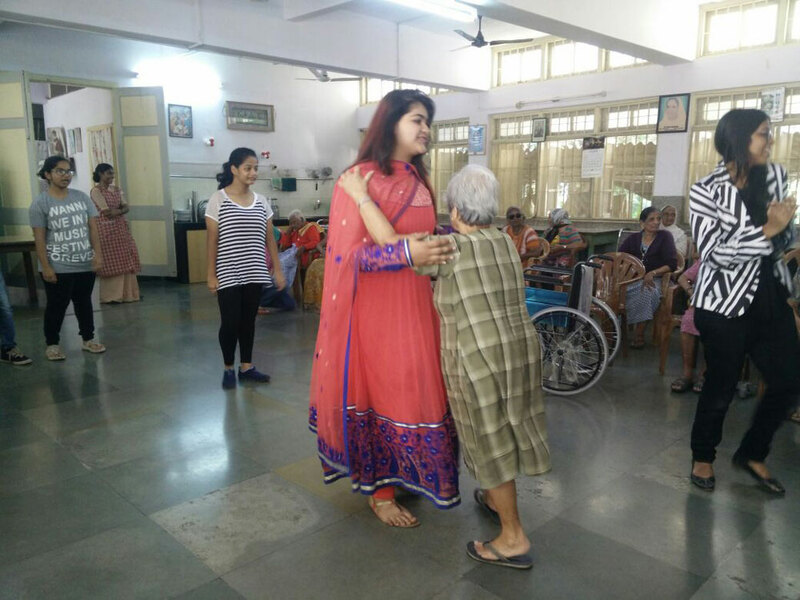 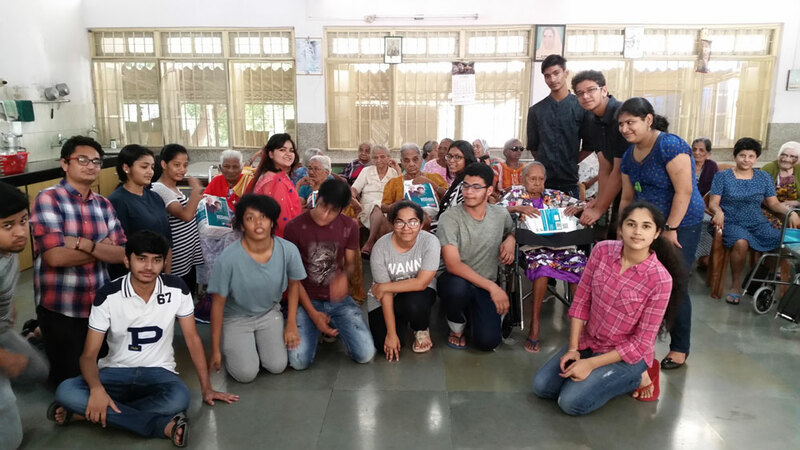 We helped the Old Age Homes and Orphanages with Wheelchairs, Medicines and Basic Necessities.